A road trip is one of the best ways to have a fun vacation without spending too much money, any time of the year. But when you are driving a long distance, sitting in a car for a long amount of time, the tedium can start to set in. However, it is easy to keep it fun if you know how. Whether you are traveling with your kids, your friends, or people you barely know (in which case you might want to rethink), there is always fun to be had getting to know each other better. Here is a collection of the best car games for both friends and family. Take turns focusing on one person in the car. For each turn, the person receives either the same allotted amount of time or same number of questions, and they have to answer them. Each person is allowed one veto to use for a question that they do not want to answer. You might think you know everyone pretty well, but you could be surprised at what you end up learning! Look around at the people on the freeway next to you, and try to come up with the most creative story for their lives that you can think of. Who are they? Where are they going? Who are they with? Have fun with it! A game that is equal parts fun and infuriating, “Would You Rather?” gives you a chance to reflect on what is most important in life, inwardly reflect on your identity, and also to decide whether you would rather have a dinosaur or a dragon for a pet. Take turns coming up with different “Would You Rather?” scenarios, and make sure everyone in the car gives an answer. Three people: marry one, kiss one, kill one. The truth will out in this game that can entertain for days. Whether you choose three celebrities or three people who you all know, it can be difficult to decide, but fun to think it through. These are just a few ideas to get you started, but it really doesn’t take too much inspiration to come up with a brand new car game. All that you have to do is accomplish the goal of getting to know each other better, and you will find that the time passes as quickly as the miles do. 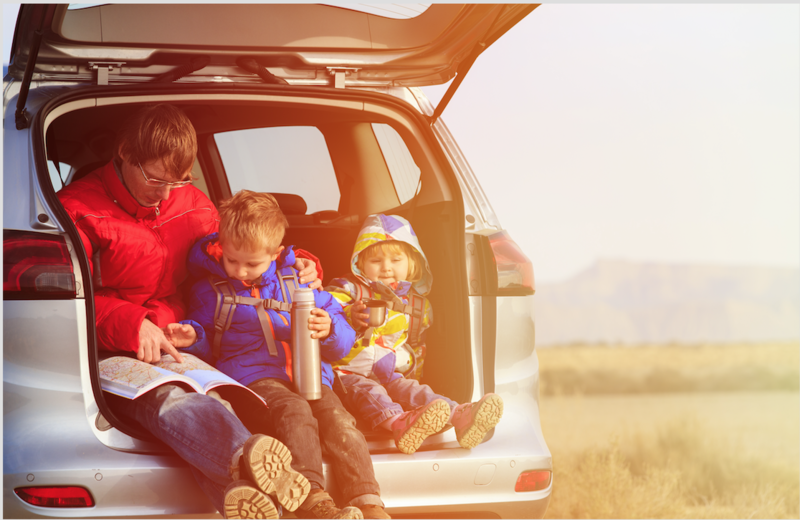 For more about these road trip games and more, as well as tips for the best snacks, apps, music and more for a road trip, check out our interactive Road Trip Planner.